DFA member, Carlos Francisco's Zulu Surf Riders will be broadcast on E.TV on Sunday 21st November at 18h30. Evidence of South Africa’s shifting cultural identities can be seen on KwaZulu Natal’s shores with young Zulu surfers emerging as keen competitors. ‘Zulu surf riders’, tells the story of a pair of second generation surfing twins, Cyril and Mishak Mqade, who have made a life for themselves through this sport. Having grown up in a small community where employment is scarce and education lacking, the film documents the twins’ journeys from their early endeavours to their present day successes. Cyril and Mishak are inspirational figures in their neighbourhood, teaching local youngsters to continue on the path of the ‘Zulu wave’. This film captures the lives of these brothers who, against all odds, have defied traditional taboos to bravely discover a new world. ‘Zulu surf riders’ is entirely self-funded through Scratch the Surfers. Carlos, Andre and Brenen felt drawn to tell the story of these two young men who have sought to change this historically white-dominated sport. ‘Zulu surf riders’ is a surf film about the radical power surfing has to change people’s lives and showcases how surfing has the ability to bring out the humanity in all of us! For the first time an African perspective on the soulful sport of surfing is captured in Zulu, with English subtext, delivering an amazingly rich and descriptive narrative from our unlikely surfing heroes. Read the interview with Carlos on Perspective. The SOS Coalition welcomes Parliament's decision to extend the deadline for nominations to 6 December 2010. This will allow Parliament to hold its hearing with the SABC Board on 23 November. The Coalition is hopeful that at this hearing Parliament will finally be able to deal with the various corporate governance breaches that have taken place at the SABC. If the various oversight and governance structures including Parliament and the SABC Board are prepared to commit to good corporate governance and implementing mechanisms of accountability going forward, this will significantly assist in encouraging experienced people with integrity and commitment to stand for the SABC Board. There is one further important issue that needs to be considered - we need to carefully look at the gaps in terms of representivity that have been created by the present resignations. As the Broadcasting Act presently states the members of the Board when viewed collectively need to "represent a broad cross-section of the population of the Republic" and need to collectively have a range of skills in broadcasting policy and technology, broadcasting regulation, media law and so forth. As civil society we need to analyse what the gaps are and nominate accordingly. It is also most important that the Portfolio Committee does an analysis of this situation so that the appointment process takes this into consideration. The typical cost of a movie relative to the average American monthly family budget is approximately 1%. Fairly insignificant. In Mexico, however, that cost is approximately 20% of a family’s monthly budget. Extremely significant and understandably prohibitive. It is no surprise then that simply going to the movies is a luxury to the average Mexican family. This is especially true for families in poor urban areas and rural towns in Mexico. Enter social entrepreneur Ariel Zylbersztejn. 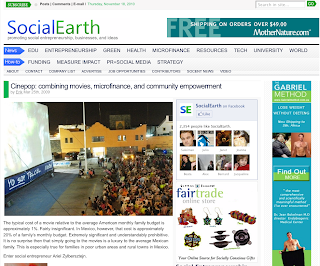 Zylbersztejn is the founder of Cinepop, a company which organizes free, large scale movie screenings in rural Mexico. Each screening is open to the public and all are encouraged to come and enjoy the magic of movies. 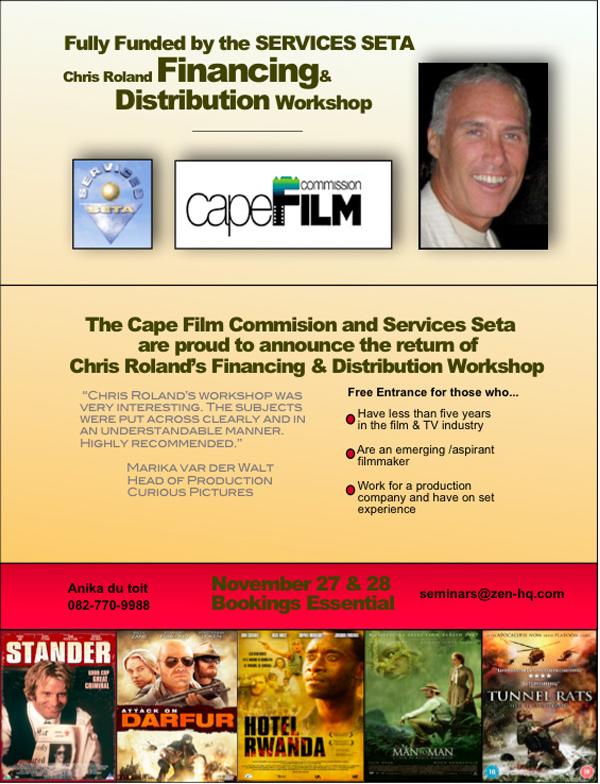 In doing so, Cinepop has turned the traditional movie making business model on its head. Instead of prohibitively priced, limited seating movie theatres afforded only to the middle class or wealthy, Cinepop screenings are large enough to easily accommodate thousands and are free so thousands can come. THE Independent Communications Authority of SA (Icasa), which regulates broadcasting, has been conspicuous by its absence from a two-day hearing on the proposed Public Service Broadcast Bill, despite a consensus that the bill undermines the regulator’s role and cedes its power to the minister. 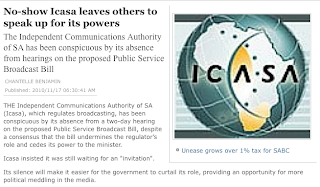 Yesterday, Icasa insisted it was still waiting for an "invitation". Its silence will make it easier for the government to curtail its role, providing an opportunity for more political meddling in the media. In Icasa’s absence, other groups have flown the flag. Media Monitoring Africa, MultiChoice and the National Association of Broadcasters told the hearings that Icasa, not the minister, should have the oversight role, in line with its mandate. 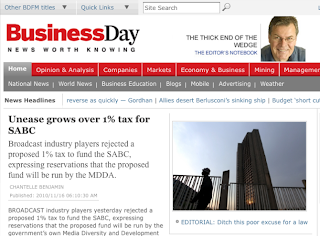 BROADCAST industry players yesterday rejected a proposed 1% tax to fund the SABC, expressing reservations that the proposed fund will be run by the government’s own Media Diversity and Development Agency (MDDA). 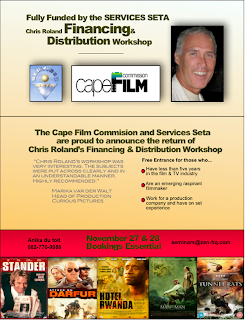 The MDDA was originally set up to promote small and community media, and usually handles a budget of about R39m. The controversial proposal to levy an additional 1% tax was originally floated by former communications minister Siphiwe Nyanda, and is being kept alive by his successor, Roy Padayachie. Read the rest on the Business Day web site. 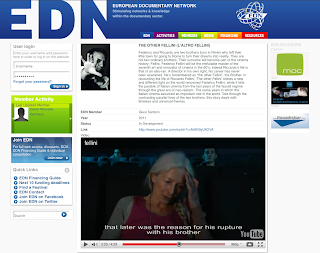 To read more about this documentary on Riccardo Fellini, click the image or here.